In need of some clean Easter jokes for kids? We have a list of 33 Easter jokes and puns that will have you laughing out loud. These jokes are good for telling children or for children to tell to others. Clean humor is a great way to lighten the mood and brighten peoples day. Q. Why was the Easter Bunny so upset? A. He was having a bad hare day! Q. How many chocolate bunnies can you put into an empty Easter basket? A. Only one because after that, it’s not empty! A. Unique up on him. Q. What happened when the Easter Bunny met the rabbit of his dreams? A. They lived hoppily ever after! Q. How do rabbits say good-bye to carrots? Q: How does a rabbit make gold soup? A: He begins with 24 carrots. Q: What do you get when you cross a bunny with a spider? 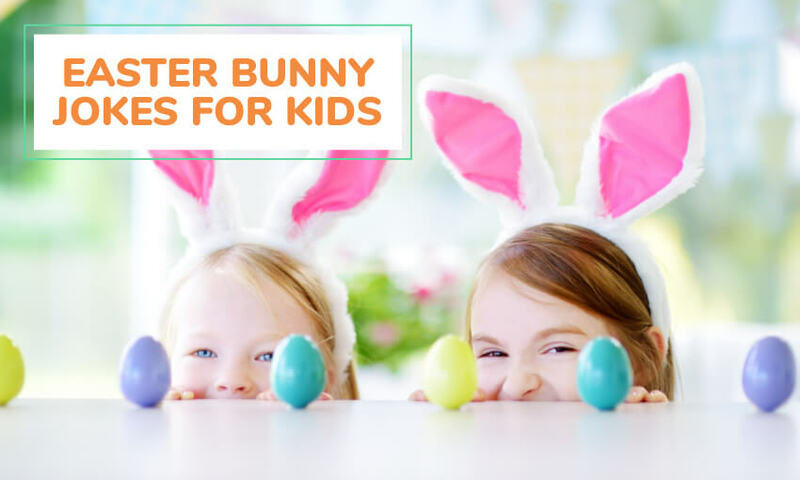 Enjoy these funny easter bunny puns and jokes. They are sure to get a chuckle. Q. Why does the Easter bunny have a shiny nose? A. His powder puff is on the wrong end. A. It has four rabbits’ feet. Q: When is an elephant like the Easter Bunny? A: When he’s wearing his cute little Easter Bunny suit. Q: What do you call a chocolate Easter bunny that was out in the sun too long? Q: Why couldn’t the rabbit fly home for Easter? A: He didn’t have the hare fare. Q: How many chocolate bunnies can you put into an empty Easter basket? A: One. After that the basket won’t be empty. A: Because the chicken had his Easter eggs. Q: Where do Easter bunnies dance? 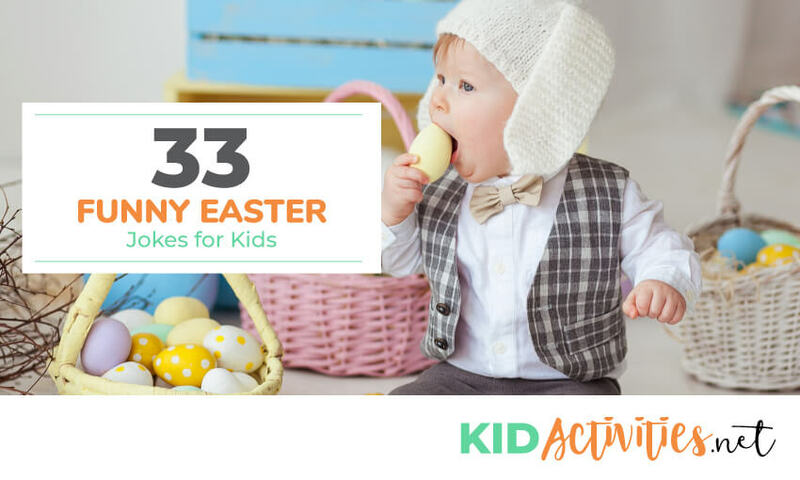 There you have it, 33 Easter jokes including some funny Easter bunny jokes. What’d you think? Did it get you to laugh out loud? In need of some more clean jokes? Check out the list before for some good child appropriate humor.